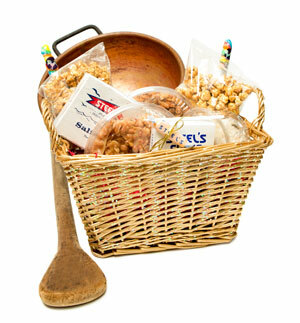 The Boardwalk Brittles gift basket gives you an extra portion of our delicious peanut brittle to crunch on. The boardwalk must be close by!!!! This basket also has a fine mix of our candy favorites, so you still get your fill of fudge, salt water taffy and other fine treats. This basket includes a $15 shipping surcharge.